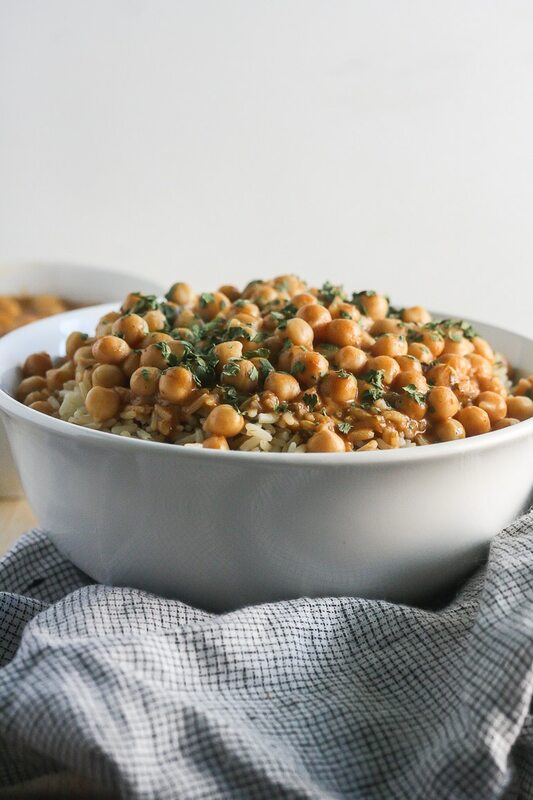 This delightful vegan dish is packed with wonderful flavors and makes a hearty, meatless dish. 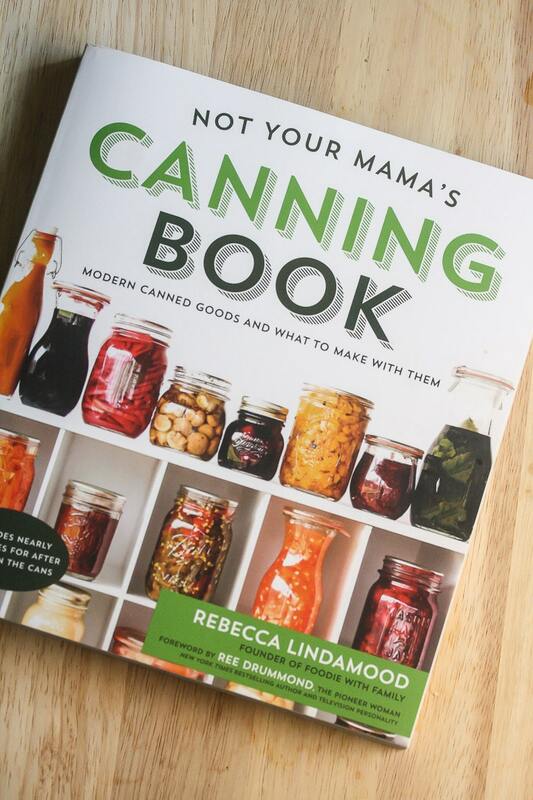 I was so excited to get my friend Rebecca from Foodie with Family new cookbook, Not Your Mama’s Canning Book. It is filled with creative, delicious recipes and amazing pictures. It took me a while to pick which one I wanted to make first and share with you guys. There were so many to choose from! And I have never canned anything before, so this was all new to me. You will love Rebecca’s witty writing and you feel like she’s right there cooking with you. 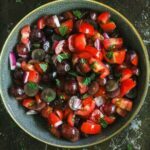 Her pictures are so lovely and her notes are super helpful, even for canning newbies like me! 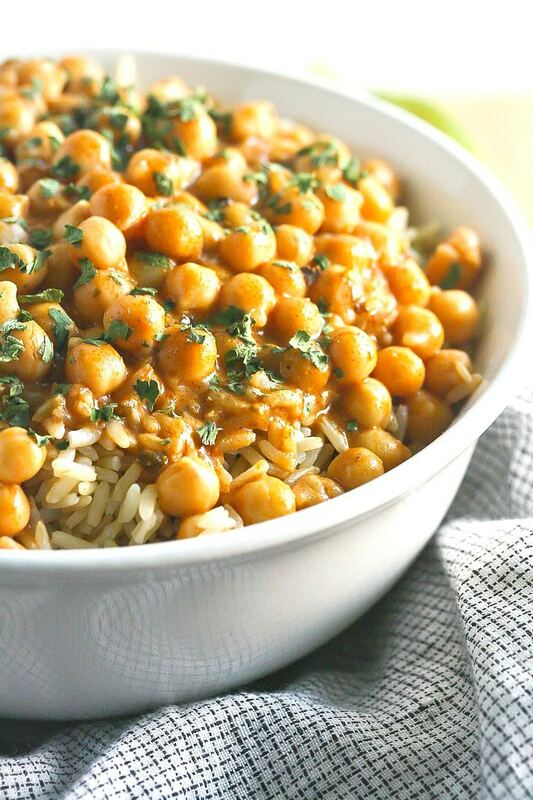 Once I came across this Chickpea Tikki Masala, I knew I had to make it. 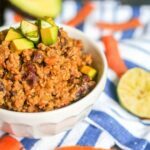 Besides the obvious fact that it’s crazy healthy and packed with plant-based protein, I couldn’t wait to try all of these incredible flavors! I decided to make brown rice to increase the nutrition some more. It was perfect. I added extra cilantro, because, well, it’s cilantro! In a large stockpot over medium heat, make the sauce by stirring together the olive oil, onions, garlic and salt. Saute' until the onions are partially translucent and are light golden brown around the edges, about 8-10 minutes. Sprinkle the garam masala over the onions and stir well. Toast until the spice is fragrant and then stir in the ginger and jalapeño. Stir and cook for 1 more minute. Add the tomatoes to the pot and stir well, raising the heat to medium-high. Continue stirring until you bring the mixture to a boil. Take care to keep scraping the bottom of the pot to prevent scorching, and drop the heat to low. Simmer for 10 minutes, stirring well frequently. Heat the remaining olive oil in a 2 quart saucepan over medium heat. 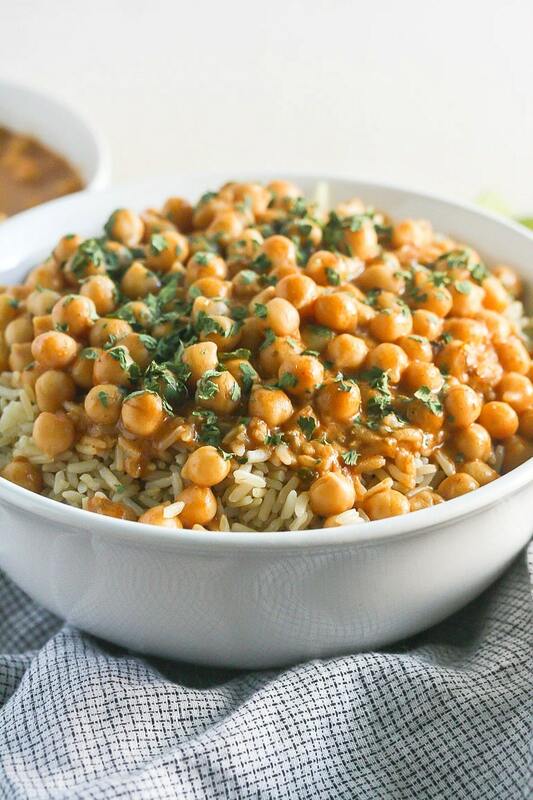 Add the garbanzo beans and the Tikki Masala Sauce and bring to a simmer. 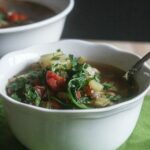 Reduce the heat to low and simmer for 10 minutes. Stir in the coconut milk until the sauce is an even color and cook just until hot all the way through. 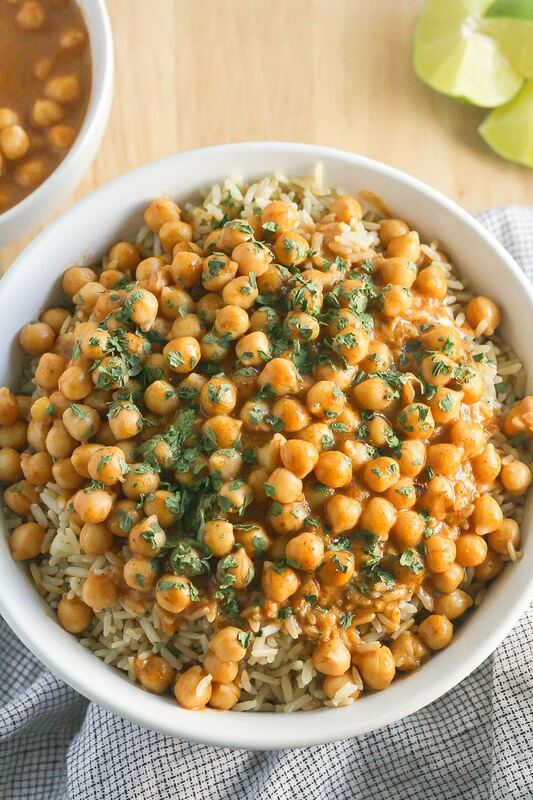 Serve over brown rice and garnish with cilantro. Up next, I am making the Vanilla Fig Preserves. Doesn’t that sound insanely delicious? Go out to all major book stores, including Barnes and Noble and Amazon and get your copy today! Disclosure: I received a complimentary copy of Not Your Mama’s Canning Book for review, but was not compensated for this post. All opinions shared are my own. I promise. You’re going to love the Vanilla Fig Jam. I was lucky enough to test that recipe for Rebecca last year. Soooooo good! These look incredible!! And seriously, not what I think of when I think about canning! 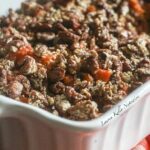 LOVE this recipes! Rebecca’s book is fabulous and I loved seeing all the delicious recipes. This is delicious! I can’t wait for Rebeccas book! I want to do more canning so it sounds perfect. This sounds like a great dish! This looks like a really satisfying meal. I am dying over how good this looks! 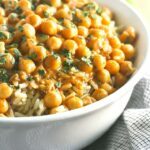 I love chickpeas!